Update: The SCC approved APCo’s standby charges with a small modification. As it had when considering Dominion’s standby charge, the SCC declined to consider the benefits of solar to APCo. See http://www.scc.virginia.gov/docketsearch/DOCS/303%2301!.PDF at page 36-37. Appalachian Power Company (APCo) is seeking permission from utility regulators to impose new “standby” charges on residential customers who install solar systems over 10 kilowatts (kW). The fee is included in the company’s latest rate proposal, now before the State Corporation Commission. According to the filing, the transmission and distribution charges would add $3.77 per kW to the monthly bill of a customer who goes solar with a large residential system. That means homeowners with 10 kW systems would pay an added $37.70 per month. Charges would escalate to $75.40 per month for homes with 20 kW systems, the largest size allowed under net-metering rules. So the potential is there for a solar homeowner to owe over $900 per year in new charges on his electric bill. But according to APCo, only three customers in all of its Virginia territory have systems large enough to qualify for a standby charge, with no additional big systems in the queue. That’s right: APCo is spending many, many thousands of dollars on lawyers and consultants so it can change rules that affect three people. Ahem. Lest anyone think APCo is worried about cost. APCo’s decision to move now proves this is not about freeloaders on the grid. This is about protecting the corporate monopoly on electric power by shutting down the independent solar industry while it is still small. In this, APCo is following the lead of Dominion Power, which got the SCC to approve similarly onerous standby charges on its own large residential solar customers in 2011. The utility’s ability to do so was authorized that year by a bill amending section 56-594 of the Virginia Code. The statute leaves it up to utilities and the SCC to determine the amount. The Virginia solar industry acquiesced to the standby charge language as part of a deal that raised the residential net metering limit from 10 kW to 20 kW. Industry members assumed any charges the SCC approved under the law would be modest, given the many benefits solar brings to the grid. Their assumption proved spectacularly wrong. 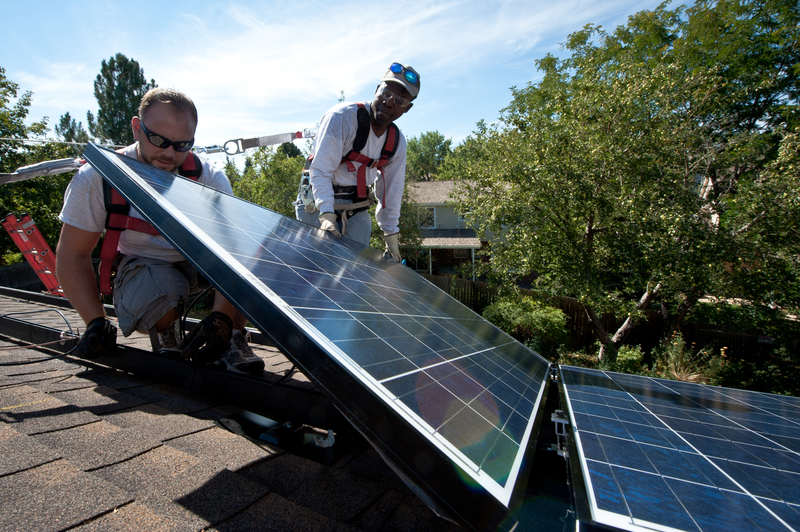 The SCC bought Dominion’s arguments about solar homeowners not paying their “fair share,” dismissing expert testimony and findings from other states that solar enhances grid security and offsets peak demand. Given that APCo’s proposed standby charges are so similar to Dominion’s, APCo probably figures its request is a slam-dunk at the SCC. And given how few people are affected, it may be tempting to ignore it. But just last summer Dominion signaled its intent to try to extend its own standby charges to more solar customers, which makes the issue relevant to everyone who owns a solar system, wants one, or supports the rights of others to buy them. Whether utilities should be loading up their solar customers with added fees is also at the heart of two studies getting underway in Virginia this year examining the costs and benefits of solar, one of them under the auspices of the Department of Mines, Minerals and Energy and the Department of Environmental Quality, and the other by the SCC itself. With a consumer backlash growing nationwide against utility efforts to “tax the sun,” APCo’s move looks like a way to lock in a rate increase on solar owners before the data is in—and before its customers catch on. It’s especially unfortunate that the utilities’ push against net metered solar comes at a time when we are beginning to see a flourishing of the solar market. Total installed solar in Virginia has leapt from under 5 megawatts just a couple of years ago to perhaps 18 megawatts today. Okay, that’s a paltry figure compared to, say, North Carolina’s 557 megawatts or New Jersey’s more than 1200 megawatts, but starting from next to nothing gives us a really fantastic growth curve. APCo’s rate case is PUE-2014-00026, which can be found on the SCC website. For a discussion of the standby charge proposal, look for the exhibit containing the testimony of Jennifer Sebastian. The deadline for submitting comments on APCo’s application is September 9, 2014, and a public hearing will be held on September 16 at the SCC offices in Richmond. This entry was posted in Renewable energy, Solar, Uncategorized and tagged APCo, Dominion Power, energy, environment, Prospect Solar, solar, Virginia. Bookmark the permalink. Ivy, thanks for what you do. You’re Virginia’s Paul Revere of the solar energyscape. I plan on being in Richmond on September 16 to attend and I would like to speak directly to the commissioners about this. I don’t want to happen what happened last time I was there with my solar class and Robago’s comments were tossed into the breeze. Needless to say, both my class and I were pretty disheartened by the outcome, but I’d warned them of the probability that Dominion would run roughshod over the commission. I was not fully prepared for the false contritiion, hat in hand subtlety of their tactics, but should have been. September I’ll be there prepared to do my best to skin the sheep’s clothing off the wolf in public view. So what happened to Battle & Booth? Appalachian’s petition to impose standby demand charges on solar generators of over 10kW capacity represents the utility’s negative approach toward solar energy and small producers more than real concerns about operational cost and reliability. The GE study concludes that little to no additional standby capacity would be needed on the PJM grid to accommodate up to 30% renewable energy generation when compared to standby capacity that is currently required to meet reliability requirements. Standby charges, once instituted, may be altered to incorporate smaller and smaller capacity systems. A creeping means for the utility to extend it’s electric generation monopoly to solar energy. Further, proposed standby charges do not recognize the benefits of distributed small solar generation to Virginia customers and to the grid. These benefits include reduction of both peak demand and distribution line loss. It is clearly counter to the immediate and long-term interests of Virginians for electricity regulators to inhibit the growth of solar energy and the jobs solar development can bring to Virginia in order to extend monopoly practices by one company. The Jeffersonian principle of voluntary taxation (by participation in a state lottery) is actualized here in that customers willing to privately capitalize new capacity for the grid off-set Appalachian Power’s generation capitalization and fuel costs for all customers. These installations also provide long-term cost stability. Since “the amount of additional transmission and reserves required are briefly defined later in this summary and in much greater detail in the main body of the report,” it would seem prudent to base any imposed costs on small renewable power producers based on actual additional standby cost projections and any transmission costs (which are offset by the distributed nature of small scale solar production). Instead Appalachian Power seeks to impose fees on small solar power producers based on speculative and unsubstantiated costs which the extensive GE study refutes. The only reason that Appalachian Power can be requesting such fees in the face of the GE study evidence is that the company seeks to preserve its monopoly status in the face of renewable energy technology which threatens it’s bottom line. The Commission should deny Appalachian Power Company’s petition to impose these speculative and unsubstantiated standby fees. The costs that Appalachian Power and other utilities seek to recover have nothing to do with grid stability or issues described in the GE report. Imagine for a moment if all home owners installed enough solar capacity to ZERO out their utility bill via net metering, in other words the utility has zero revenue. Since the solar system is grid tied, solar homes are using the grid as a virtual battery; using the grid at night, during cloudy weather and for surge capacity to start heat pumps and A/C compressors, homeowners expect the light to come on whenever they flip the switch while paying ZERO for those services. How can a business (utilities) continue to exist with zero revenue? If you want power at night, during cloudy weather, whenever, and as much power as you want, even beyond the capacity of your solar system, install a large battery and pay for it and simply go off grid, (and THAT really feels good) or use the grid as a virtual battery and pay for it. There is no free lunch. And I must ask this, why on earth would a residence (not a farm etc.) need a 10kw system anyway, that’s just too much energy consumption going on there. Jody… I agree that the utilites must be paid a fair price for the work they do to maintain the grid. But they petition the commission for fees that are not at all reasonable, and do so time and time again. This is how they operate and why we must be so vigilant in keeping a close watch on publicly-authorized monopolies. They employ a small army of people that make careers out of testing the limit of our patience, intelligence and endurance. I wonder how many individuals are working in both the corporate counsel’s office of Dominion and APCO and in their outsourced legal firms! Contrast that to the number of commisioners and staff employed by the state of Virginia and you’ll begin to see the unfair playing field of the system. Dominion/AEP… show us some reasonable maintenance schedules and fees, backed up by facts and historical cost figures. Don’t just pull some investor-placating fantasy numbers out of your boo-hineys and hope we’ll take the bait because our SCC is overworked and under-staffed. We may have only a handful of commissioners, but there are a good number of us hounds watching the henhouse.